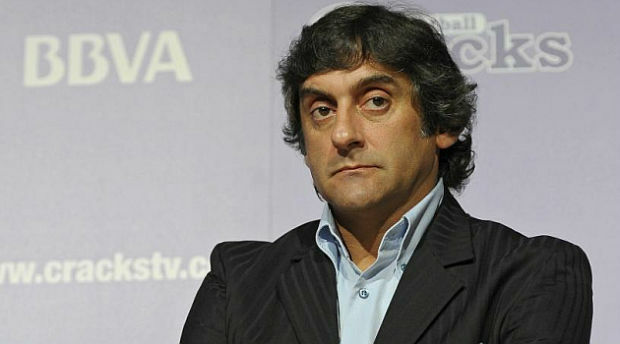 1.81 meters tall, former Uruguayan footballer, Enzo Francescoli, was born on November 12, 1961. Due to his graceful style on field he was given the nickname El Principie (The Prince). He appeared 73 times with the Uruguayan national team, from his debut in 1982 to his retirement in 1997. Being known as one of the greatest Uruguayan player he was the most capped outfielder in the team. He was the only Uruguayan player to be included in Pele’s FIFA 100 list. He represented Uruguay in the 1986 and the 1990 World Cups. Francescoli was particularly known for his control, responsiveness and skills on field, he understood the game he was playing. Francescoli is married to Mariela Yern and they have 2 sons, Bruno and Marco. He was also made the Uruguayan ambassador of UNICEF in 2002. After his retirement Francescoli has only appeared in festive games. Francescoli was about to make his career debut with Aurinegra but he quit the club because he didn’t find the team’s conduct appealing. After high school he received an offer from Montevideo Wanderers, who were watching Francescoli since a long time. He, however, postponed the offer and went on to complete his college education. In 1980, he first appeared with the Wanderers. The season proved to be their best since 1931. He made it a tradition/routine to chew gum before a game, he said it kept his mouth from being dry also that the game didn’t feel right if he wasn’t chewing gum. The club was at third place in the1980 continental competition. In 1981, during the Uruguayan Primera Division, the team finished third again. In 1982, Francescoli performed his worst with the club, as the club finished fifth, and the same year he made his debut with the Uruguayan national team. In 1983, Francescoli had a good season with his team during the Copa Libertadores. They were knocked out in the quarterfinals. In 1983, after the Copa America, Francescoli was signed by River Plate for $310,000. However, his start was a little shaky at the club, by the following season he barely had enough time on field to display his talent to the fans. With time, by the end of the season, he earned more time on field during matches. Despite the difficulties he had to face he was still voted the best South American footballer in 1984. He turned down an offer from America de Cali and stayed at River Plate. Francescoli was named the best player in Argentina in 1985, even though the club didn’t win the championship that year. River Plate reigned champions in the 1985-86 season as Francescoli ended the season as the top scorer with 25 goals. In 1986, Francescoli made his European career debut with the Racing Paris, which was later changed to Matra Racing after a sponsorship deal in 1987. During Francescoli’s first season there he managed to become the top scorer with 14 goals. In 1987, he was elected the best foreign player in France. In the 1987-88 season he finished as the top scorer again. After seeing his performance on field, Juventus presented him an offer which he turned down. Then in the 1988-89 he finished as the top scorer for the third time in a row. In 1989 the club became a victim to bankruptcy and lost their spot in the French League to their rivals Paris-Saint German. Francescoli was transferred to Marseille in 1989. He helped the club win the French Division with 11 goals in 28 appearances. He faced Racing in the French Cup semifinals and lost. Marseille also reached the European Cup semifinals in that season. In 1990 he was signed by Cagliari Calcio, he scored 4 goals in 1990-91 season and 6 goals in the 1991-92 season. He helped the team reach Coppa Italia’s quarterfinals in the 1992-93 season. Francescoli is included in the Cagliari hall of fame. In 1993, Francescoli moved to Torino, he lost the Suppercoppa Italiana final to Milan. After a lot of hard blows and a disappointing last season with Torino, Francescoli moved back to River Plate. Despite being 33 years old he still managed to come out on top and River went undefeated to reign as national champions. In the Copa Libertadores the team was eliminated in the semifinals. The next season he won the 1996 Copa Libertadores with an inexperienced team. River lost the 1996 Intercontinental Cup to Juventus. The following season, Racing defeated River in a penalty shootout. They did, however, win three domestic tournaments in 1998. In his last 2 games with River, he won 2 titles in 4 days (1997 Apertura, Supercopa Libertadores). After Francescoli’s retirement River could only win domestic tournaments. Francescoli has appeared with Uruguay’s national team 73 times. Represented his country at 2 consecutive world cups. He also won the Copa America thrice (1983, 1987, 1995). He was named one of the best young players in 1981. Uruguay wasn’t up to its potential in the 1986 world cup and neither was Francescoli. He scored once throughout the tournament. Uruguay, during Copa America, defeated the defending world cup winners, Argentina, in the semifinals and Chile in the final to win their 13th Continental title. In his second world cup with Uruguay, he didn’t perform any better than the previous world cup. After winning the Copa America for third time, Frencescoli announced his retirement from international football. He retired from the national team with the second most appearances. Copa América (3): 1983, 1987, 1995.